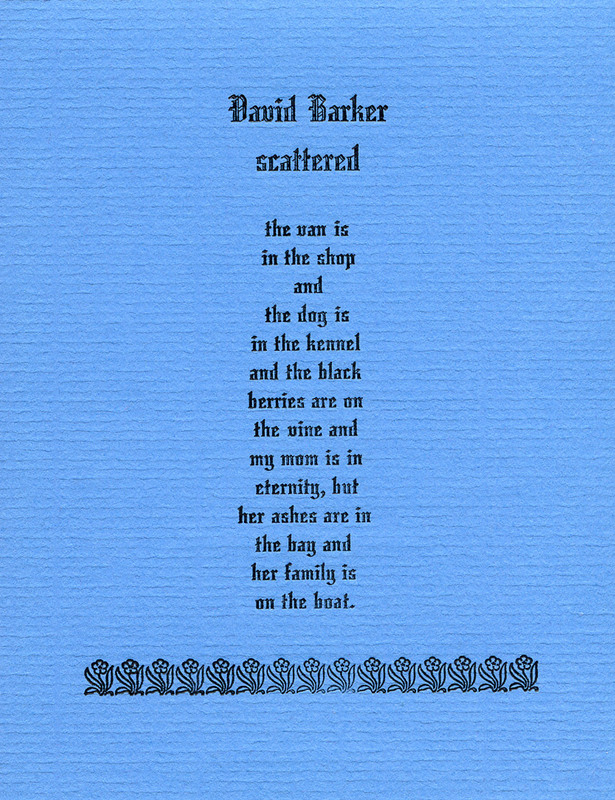 David Barker is the author of dozens of chapbooks of poetry and short stories. In the 1970s, while getting his MA degree in English from CSULB, he was part of the L.A. small press poetry scene. 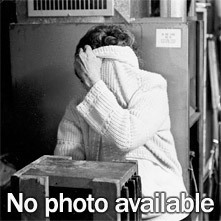 David lives with his wife in Oregon where he works as a database manager. In his almost non-existent spare time, he paints and draws. 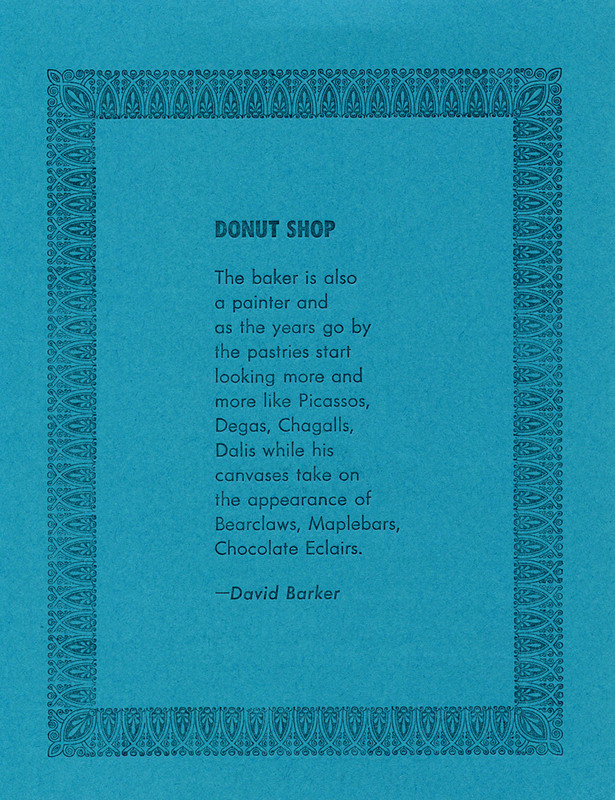 David Barker's work has appeared in Bottle, AggressiveBehavior, Microbe, Spork, Zygote in my Coffee. Slept Here; Notes From Victoria, B.C.